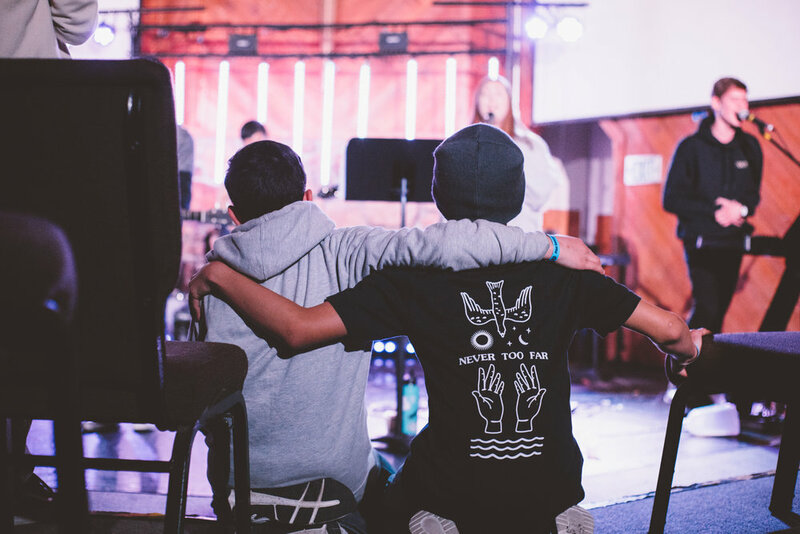 Everyone loves and looks forward to retreats because God always meets us so powerfully while we’re on the mountain. Every year when we get back we say this, but it’s true: you can encounter God like you do at retreat wherever you are. But how? God recently answered this question for me and I hope that it speaks to you too. The reason why we encounter God so powerfully at retreats is because we’re expecting it. We’ve fasted for it. We’ve prayed for it. We worship with passion and listen to the messages in anticipation, waiting for the miraculous move of God that’s bound to happen. You choose to worship, you choose to pay attention to the messages, and you choose to seek God. But doesn’t the God of the universe deserve more attention and expectation than 2 ½ days in Big Bear and an hour and a half every Sunday? Choices result in outcomes, and outcomes are affected by choices. YOU have to choose to worship God and YOU have to choose to believe that He is there whether you feel Him or not. I had to ask myself this question: how many encounters with God have I missed out on because I didn’t like the songs the worship team was playing or because I didn’t expect to get anything out of a message so I didn’t really pay attention? And don’t think for one second that if you can’t feel God that He is not there. (Read Psalm 139:7-10, Romans 8:38-39, Matthew 18:20). Even when you don’t feel the power of God’s presence, that does not change the worthiness of His name to be praised and paid attention to. So I greatly encourage and challenge you, wherever you are—church, your room, the car, the mountains on a retreat—search for God and worship Him like He is the Maker of the universe, the Savior of your soul, and the God that all creation obeys when He speaks. Because He is all of those things. Because in all honesty, we don’t deserve to feel God’s presence, but He deserves all the praise we could ever bring and so much more. Don’t feel like you have to wait for the next retreat to experience a move of God. God hasn’t changed, His power hasn’t lessened, and His love for you never ceases. It’s our lack of expectation and dedication to Him that hinders us from experiencing these things on the daily. The next time you’re at a church service and you don’t like the worship, or the next time you’re in your room knowing you should spend time with God but not wanting to just sit down and read your Bible, remember that it’s up to you to focus your mind and discipline your heart. If you want change, you have to fight for it. God is near, and you’re never too far.